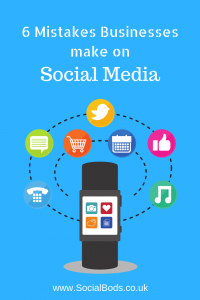 Social media marketing can be a hugely cost-effective way for small businesses to reach new people and to turn those fans into paying customers. It can also be painful and a distraction from the core business. If you want to use social media for business, then you need to make sure you get the most out of it from the time you invest. 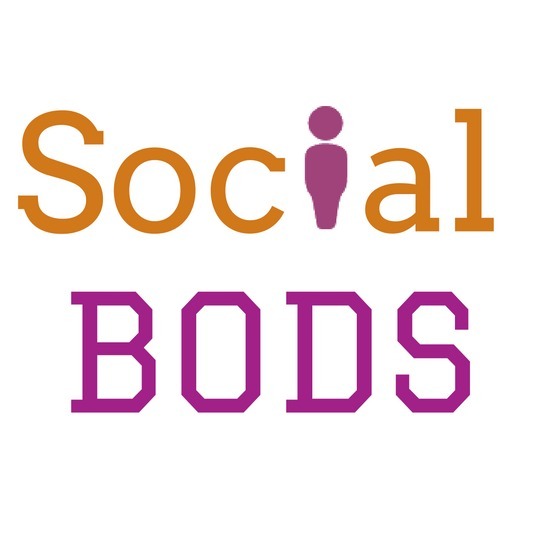 As a social media agency for small businesses, we can set-up social media from brand new, or we inherit what the previous social media manager or owner themselves have done so far. This can be anything from successful accounts with lots of relevant, engaged followers, to an absolute shambles. We’ve seen most of what social media marketing for business can throw at us. If you want to run your own social media marketing for your own business, congratulations! It’s a good decision; there is no-one better placed in this whole world to get across your brand’s message and ethos than you. Business owners come to us because they can not get their heads around the technical aspect of social media, or because they have little time to do it justice. They don’t come to us because we know their business better than them, because we don’t. In time, we can get to know your business very well, but if you have tech skills and the time to do it yourself, then we highly recommend that you give social media a go for your business and see how you get on. Saying that, there are things that only experience in social media for business will tell you. 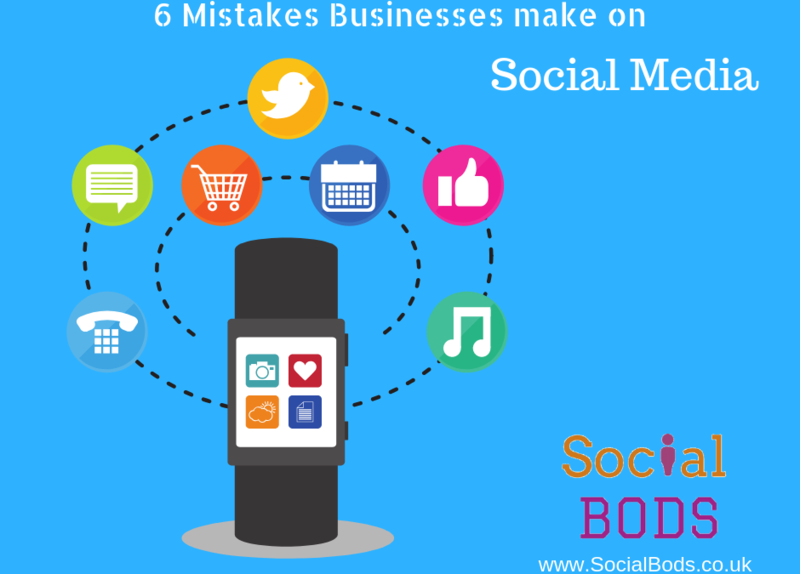 Here are six mistakes we see small business owners making on social media that you should avoid if you can. Many business owners stick to one or two social media networks because that’s what they use personally and that’s what they enjoy. There’s nothing wrong with that. We do believe that familiarity with how a particular network operates is key. However, this is only a good idea for your business where your target audience agrees with you on what networks to use. Ideally, you need to be active on the networks where your target audience hangs out. And this may mean coming outside of your comfort zone and learning a new network. If you want to target young people, then sticking to Facebook may not be the best plan. Get to know Instagram, or (God forbid) Snapchat. Even Twitter would be a step in the right direction. You may be your own target audience. You might not. Either way, you need to think seriously about your target audience’s habits. Are they more likely to crank up their phone and go on social media in the morning? In their lunch hour? In the evening? Use scheduling tools such as Hootsuite or Buffer, or use the scheduler within the networks themselves (Facebook is the one I’m thinking of here) to put your content out at optimal times. It may be that the best time for your audience is a time when you are not free to create and post content, so work around it. In fact, if you can sit down once a week at a time that does suit you and you can bang out a week’s worth of content and get it scheduled for the rest of the week, then you can stop worrying about keeping the content monster going. Don’t know when the best times might be? Use Facebook insights to look at when your audience is online. For Twitter, you can use Tweriod to give you an idea; it’s more accurate the more followers you have. Or simply think about your ideal customer and what their habits might be, and experiment a little. Try content at different times of the day and see how it is received. Trial and error is a fantastic learning tool. “If you build it, they will come” is a very bad mantra for social media. Now, this is something that is more relevant to Twitter and Instagram than Facebook, but a great tool for building followings on both networks is to find other users who appeal to you and follow them. This will alert them to your presence and they might follow you back. If you find you’re following lots of people and your follower/following ratio is looking too imbalanced, then you can use a tool such as Tweepi to unfollow non-followers after a month or so. Take the time to engage with other users – seeking out your ideal hashtags on Instagram and leaving thoughtful comments is very fruitful for example. Don’t expect that people will find you and engage with you like magic. They won’t. So be proactive. Yes, it does happen. Businesses want to get more people to like their Facebook page or to follow their Twitter account, so they go to a third-party (or within the social media network itself) and pay money to have more fans added. It might make you look popular to the outside world, but these followers will not engage with your content and will give you a low engagement rate which signals to the networks that your content is a bit rubbish. And a quick look at someone’s followers will give someone else an idea of the follower demographic; it’s not private information. Better to have a low number of very engaged (and happy to be there) fans and followers than thousands of bots who may or may not engage with your content, but especially have no intention of buying what you are selling. Social media is fast replacing the call centre for a lot of customers. They will get in touch with product enquiries, complaints, and more. You need to look at social media as a lower-cost 24-hour customer services centre. If you can get enquiries dealt with here, the customer is less likely to email or call you with their complaint, and they will be happier too as you’ve made them jump through fewer hoops and engaged with them on their medium of choice. If you ignore messages or take too long replying, the customer will get frustrated. Answer them swiftly and not only will you get more customer kudos you will also get a nice shiny announcement on your Facebook page that you are a fast responder, and that helps to build trust, which is essential in business. Why is this number six? It surely should be higher up? Anyway, this is the biggest pitfall I see for a lot of businesses that decide to do their own social media marketing. If you design a brochure, the printer will check it before you spend money on getting it printed. When you commission a sign for your shop, the signwriter should (although I’ve seen some clangers here too) advise that your wording isn’t quite on point. When doing your own social media there’s no-one to point out errors. Lots of potential customers may not notice that you have muddled up your their/there/they’re but plenty more will. If you don’t want a reputation as a business owner that is unprofessional and incompetent, then please do get someone else to check it over. Preferably someone who knows the basics well. Doing your own social media marketing is a great idea but please don’t let shoddy work impact on your business. It’s too good an opportunity to waste and bad marketing can do more harm than good. If you need help, then seek it. No-one can be good at everything and not all business owners are born marketers.